If your office, warehouse, commercial or industrial site has its own car park then you should be aware that this is a vulnerable place for your physical security. Firstly, a car park can be a place that criminals can use to conduct surveillance on staff without attracting suspicion. Additionally, remember that if you do suffer a physical breach and have anything stolen, the criminals will use a vehicle to get away. This means that you need to ensure that your car park is equipped with relevant security features to keep it secure. Here we take a look at some of the most common security features that you can put in place to help to protect your business. The first step for car park security is to install an entry barrier. This barrier can be code protected – this code can change regularly and be automatically sent to staff, allowing them to always have access to the car park. Alternatively, the barrier can require fob activation or a security guard can be employed to manage entry into the car park. As well as providing a simple layer of security that will keep out unauthorised vehicles, having a barrier in place will help to make sure that members of the public do not use your car park. Having an understanding of who is in the car park can also be a useful security feature. It should be pointed out that while there might be only one official entry point to a car park, there could well be other areas in which a car could drive in. For example, if a car mounts the pavement, they may be able to enter through a gap in a wall. It can be easy to overlook these areas, but they are vulnerable points. Criminals can potentially use them to gain access to your car park. One of the fastest and most effective ways to block access to your car park through vulnerable entry points is to have concrete barriers placed across them. This can help to prevent unauthorised access to the site and ensure that all vehicles that want to enter the car park have to use the aforementioned barrier. Limiting access is one way of securing your car park, but it is also important to remember that it may not be possible to prevent all access to your car park, and that it is sensible to take further steps to add layers of security. If someone is able to get into your car park, you want to have additional measures in place to limit what they can do. 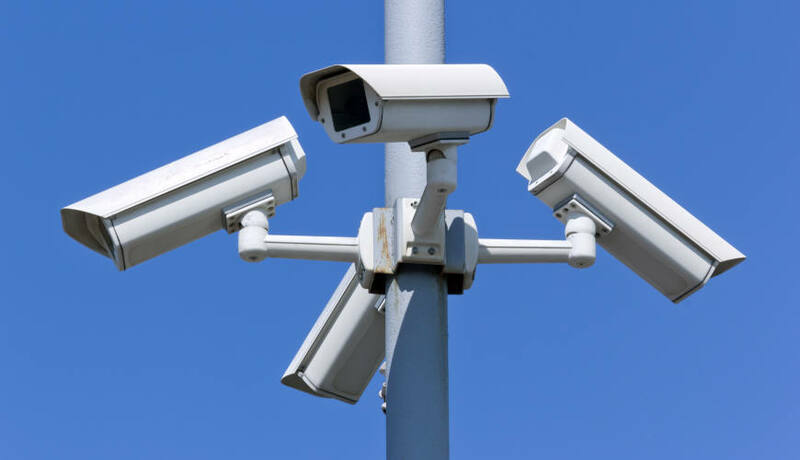 It is a good idea to have CCTV installed overlooking your car park. Cameras can catch the number plate of any vehicle as well as provide images of the individuals trespassing. But perhaps even more effective is the fact that CCTV acts as a deterrent. When individuals see that a car park is protected by CCTV they will look for somewhere different that doesn’t have these sorts of security features. So, ensure that if you put CCTV in, you also add clear signage to show that people are being watched by security cameras. Another strong security feature that can be extremely beneficial for your car park is motion sensing lighting. When the lights detect movement they turn on, lighting up anyone who might be in the vicinity. Once again, this can act as an excellent deterrent, and can put off criminals attempting to conduct clandestine surveillance.